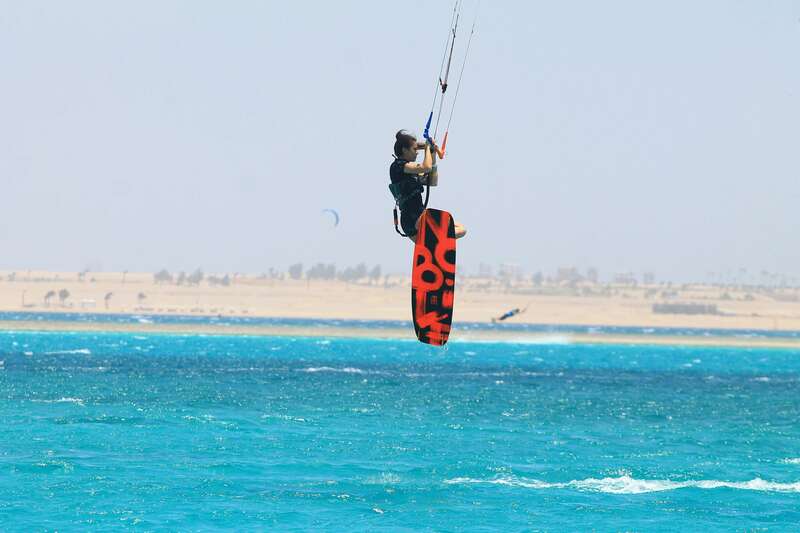 A week ago I went to Egypt to run a Pro Camp for advanced students from my kite school KITE CREW. I also took my new 2018 gear to ride boards from ladies’ Futurism collection of Nobile. Here’s my quick review and some shots. * Freestyle: 50/Fifty set of kites (usually 7,9,10,12 is enough, but I’ve learnt it’s better to carry one 14 m too), and a 50/Fifty WMN 134x39 board. 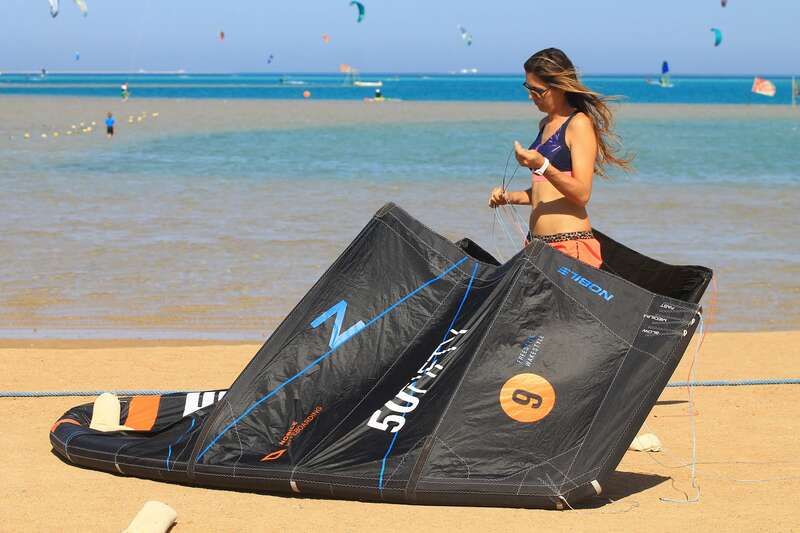 * Freeride: The same kites as above and a NHP WMN 135x41 board with straps. Since 2015, when women’s board collection „Beleza” was launched , a new era has started and I had to find space in my quiver for NHP WMN to travel with! I love freestyle and powered riding with hard edging, where 50/Fifty WMN is my one and only choice, unbeatable in high performance and perfect for bindings; although for recreation, light wind conditions or recovery period with a ban for unhooked tricks, that’s where NHP WMN takes it all – this board is lighter, with amazing features like pop or flex. 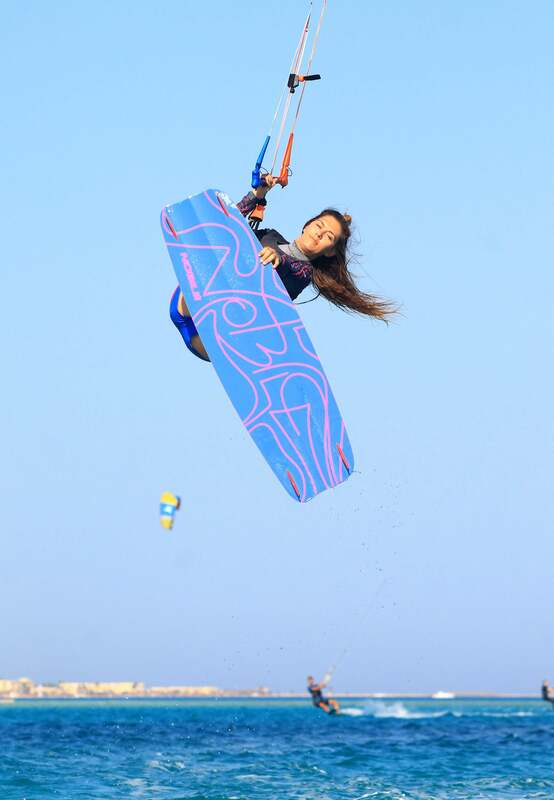 NHP WMN is a premium board, from putting first steps in kiteboarding, through progression in jumping, rotations and learning unhooked to advanced tricks. It’s way easier to jump with this board, it has extremely nice pop. As you edge, it feels like the board kicks you out of the water; on the other hand straps make it lighter, compared to 50/Fifty board, thus the NHP WMN is a perfect board for progression – no scare, no fear, all smooth and easy. In any circumstances I can’t stay unhooked in the air for a while – NHP WMN is the answer.